EZ Beach Rentals is open all year and is accepting orders through out the off season. We will be doing deliveries all year in Ocean City, Ocean Pines, Fenwick Island, Rehoboth Beach, Dewey Beach, Bethany Beach, and Selbyville Delaware. EZ Beach Rentals wants you to change how you pack for the Ocean City Maryland! Instead of loading up the family sedan with bulky beach towels, beach chairs, beach umbrella, and sheets plus all that baby gear and crib and a crate for Fido, how about you just pack the essentials and leave the rest to us and enjoy your vacation in OC MD, Fenwick Island, Bethany Beach, Dewey Beach, and Rehoboth Beach Delaware. We provide hotel-quality linens & towels with easy online booking and hassle-free delivery / pick-up service! 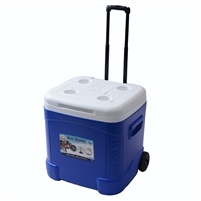 Need a beach umbrella, a beach chair, and a cooler to crank your beach enjoyment from a 10 to an 11? We'll deliver that too! Don't even get us started on how much room it takes to pack a jogging stroller, a Pack'N Play, and a high chair. We've got you covered on all your baby equipment needs as well. We run around OC so that you can simply enjoy the beach and some quality time with your friends and loved ones. So throw together a quick bag, stop worrying about what you've forgotten to pack, and go bask in the beauty of Ocean City MD, Bethany Beach DE and all other MD and DE Beaches! All items are priced at the weekly rate by default. If your stay is going to be less than 5 days you can choose 1-4 days for a reduced rate when you click on each item (excluding linens).